Life just gets in the way, and I can’t believe it’s already been 2 weeks since I last posted in here! A month or so ago, lots of movies were released and I had pretty much wanted to watch them all, and I did watch them all. Well, the ones I wanted to anyways. On this particular night, we needed to be quick so we can make it to ‘Inside Out’ in time because I needed to guarantee we get there in time to watch pixar’s short film. That’s how we came to be sitting inside Miso in World Square. You probably have figured my love for both fried chicken and pork (belly) now. So, what has miso got that has me drooling?! Katsu! 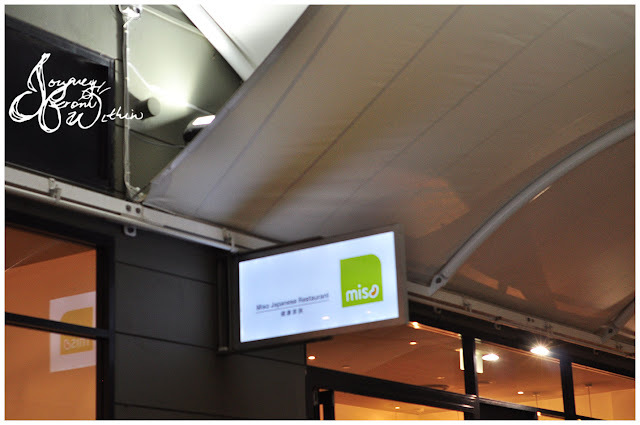 Like yayoi, they serve their food bento style with side dishes. 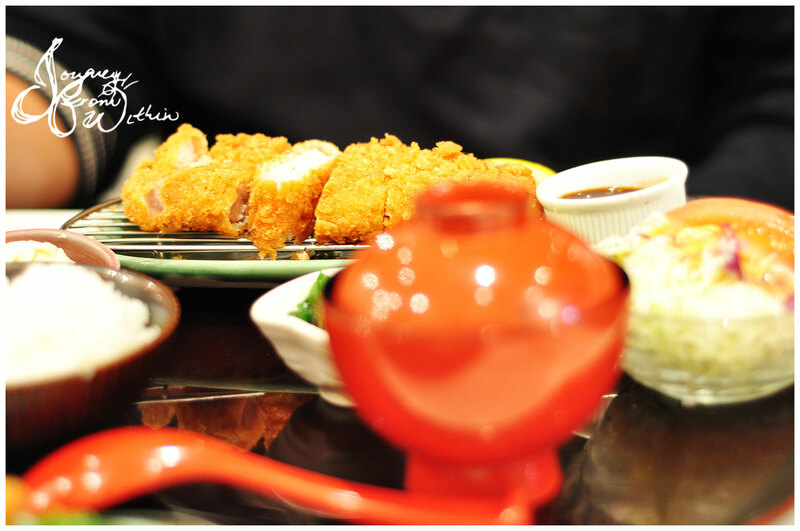 The katsu was golden crispy and the pork was soft and tender. A great combination, I am not usually a fan of katsu as I don’t like the sweet sauces that come with it, however with the variety of choices available at Miso, I am pretty sure I would not hesitate to be back. 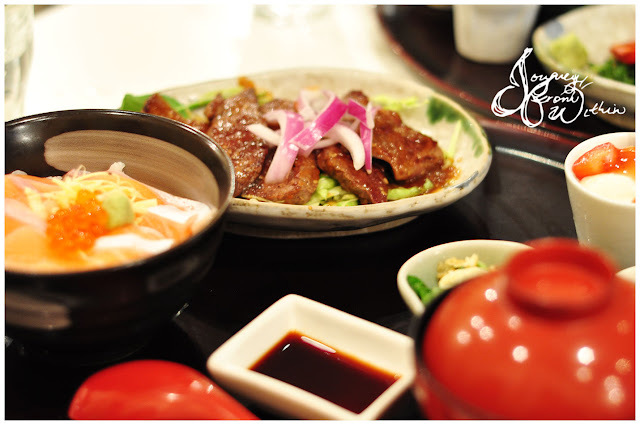 The daily dinner special only has 20 serves for the night, and consists of a wagyu with miso sauce and salmon sashimi. I’m not sure if you all find that miso soups are generally a little above room temperature, and can be consumed without blowing to cool. But I can say that, Miso offers the ‘hottest’ miso soup I’ve ever had. 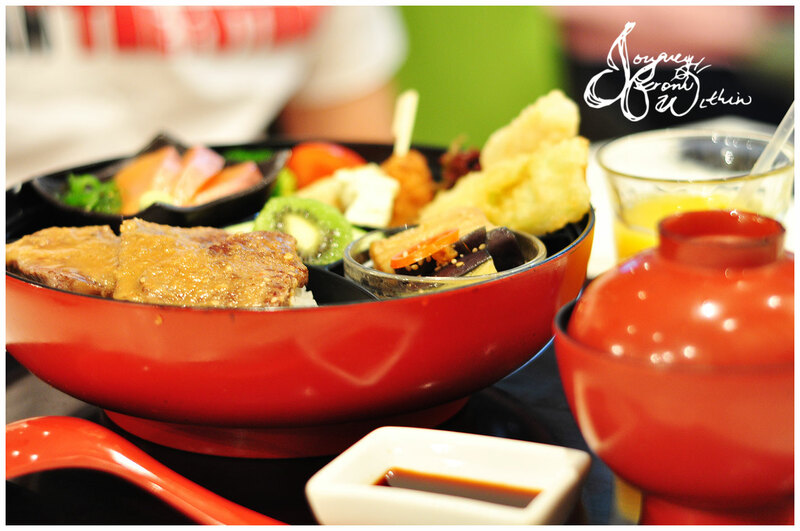 Are you a fan of katsu? 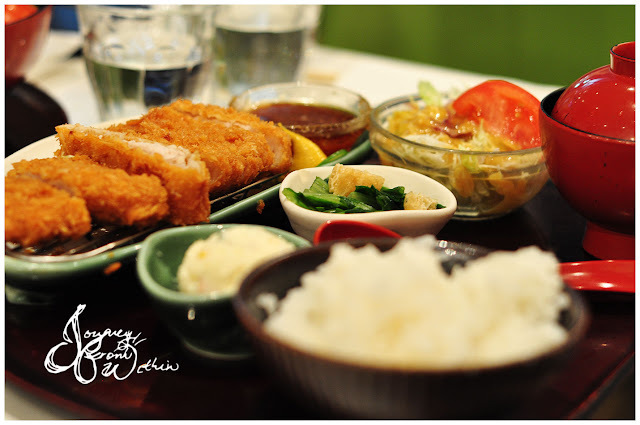 love miso, i reckon they do the best tonkatsu in syd! so far, I would agree, as I haven't had any like this before! We can imagine sipping hot miso soup now...really gives that comfort. That pork katsu looks crazy crunchy!!! yes, and during the winter was totally perfect! I'm always in World square yet I haven't tried this place out yet. Definitely putting it on my places to go list.